My name is Stefan Cerio, I am 26 years old. I was born July 12, 1992 in Hamilton, Ontario. Unlike many sufferers of cystic fibrosis, I was not diagnosed at birth. As a result of many misdiagnoses stemming from 1997 onwards, I was not diagnosed until I was seven years old in 1999. I am the only person in my immediate or extended family with cystic fibrosis. My brother and sister, who are both younger than me, thankfully do not have cystic fibrosis. I have lived what many would call a “normal” life, due to two extraordinary parents who have gone over and above to ensure my life felt no different than my brother’s or sister’s; I love them dearly and will forever be grateful. 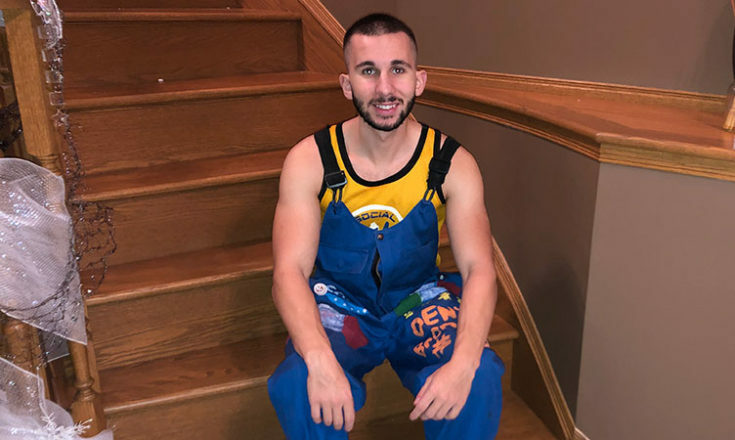 They have taken me to countless appointments, sports practices and games, all while encouraging me to strive to achieve my ultimate dream: to become Canada’s first medical doctor living with cystic fibrosis. In addition to my immediate family, I would not be the person I am today without the love and support of my cousins, aunts, uncles, godparents, friends, and girlfriend. Once diagnosed, despite being smaller than most people my age, I did not notice my cystic fibrosis much. That is apart from the dozens of daily medications and therapies. I played many sports as a child, adolescent and teen, including soccer, football, tennis, track and field, swimming and skiing. I was able to keep up with the other children, with most people completely surprised when they figured out that I had such a deadly disease. To this day, words cannot describe how grateful I am to possess the set of lungs that I have, and I pray that they never decline; although I am very aware of the possibility that they will. I still play football and soccer and keep as physically active as possible. Despite my unusual lung health, I have not been as lucky when it comes to gastrointestinal issues. I have missed countless events, classes and other important events as a result of severe, debilitating gastrointestinal issues. Prior to my diagnosis, my stomach issues were brutal, I would barely eat, and most foods bothered me. Although this got better later on in grade school and early in high school, the issues were always there to remind me that I had cystic fibrosis. In grades 11 and 12, I fought through my stomach issues and managed to attain my target weight of 170lbs, which was a remarkable achievement for me. I managed to maintain that weight until the beginning of my third year at McMaster University, where my stomach issues became immense. I started losing weight and experiencing constant pain whenever I ate, despite trying a variety of different medications and techniques. By the time I started my Masters at The University of Toronto in 2018, I had lost nearly 30lbs and my stomach issues had barely improved. Despite these issues, it is still my goal to move forward, complete my Masters and apply to medical school in the near future. From an early age, I have been involved in fundraising for Cystic Fibrosis Canada. My parents organized a Cystic Fibrosis Gala at Liuna Station when I was young and have raised thousands of dollars each year for the Walk to Make Cystic Fibrosis History for nearly two decades. When I started at McMaster University in 2011, I knew I needed to get involved in fundraising through Shinerama. In 2013, I became a welcome week representative for the Social Sciences and experienced Shinerama first hand. In 2014 I was given the position of Shinerama Coordinator for the Social Sciences faculty. With an amazing, dedicated and motivated team at my disposal, we raised $25,000. In 2015 and 2016, I returned as Shinerama coordinator and was accompanied by two other coordinators who were passionate and hard working. Together, we raised $20,000 and $22,000, bringing the three-year total to nearly $70,000. Undoubtedly, my time with Shinerama at McMaster University was one of the greatest achievements of my life and the highlight of my experiences with Cystic Fibrosis Canada to date. Firsthand, I have seen how far the generous donations of thousands of Canadians go. From an early age, I have been fascinated with CF, how it works and the genetics of the disease. This fascination led me to pursue my Master of Science in Evolutionary and Molecular Anthropology/Biology at The University of Toronto. This accompanied with my admiration for the Medical Professionals I have dealt with at McMaster University, Hamilton Health Sciences, and JBN Medical Diagnostics have encouraged me to pursue a career in medicine. For as long as I can remember, I have wanted to help people, solve problems and share my cystic fibrosis story. If I achieve my dream of becoming a medical doctor, I believe that I can achieve these goals while setting an example for young kids with cystic fibrosis like me. That message being that cystic fibrosis does not define them. Although it may be harder for cystic fibrosis sufferers, with hard work, determination and a support system, we can achieve our dreams too! For all of my fellow cystic fibrosis sufferers, although you have to deal with this awful disease, this disease has to deal with you too; and it will not win without a fight. 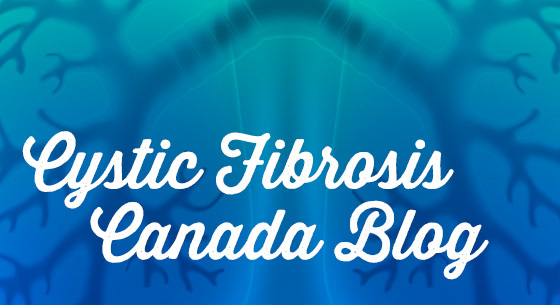 For those of you reading this wondering, why should I donate to Cystic Fibrosis Canada? Your donation helps thousands of Canadians living with cystic fibrosis. Your donation is helping people with cystic fibrosis achieve their dreams, regardless of what they are. Your donations are helping to extend the lives of cystic fibrosis sufferers, day by day. Your donations make a future with a cure clearer, and the present without it better. I do not know what the future has in store for me, but I know it is brighter because of generous people and their generous donations. For all the hard questions that come with cystic fibrosis, support the fight for a cure.